We've brought you news before that Nokia was considering a DRM-free approach for its "unlimited" Comes with Music offering, but now have had a statement from the manufacturer saying it is "committed" to going DRM-free - this year. The news before came from a Nokia exec interview that revealed the company was "in dialogue" with partners over offering the service without restrictive digital rights management in place, that, in the case of Comes with Music means music can only be played on one Nokia phone and one PC. 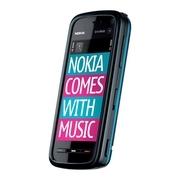 A Nokia spokesperson has told Pocket-lint, "Nokia is committed to going DRM free on the Nokia Music Store in 2009". "Comes With Music offers great value and even with the DRM in place, it continues to have great appeal to our consumers. We are constantly discussing with the music industry about how to evolve Comes With Music and further enrich the proposition we currently have".